Visiting Alligator Hole was an amazing experience. My senior year of University I had to do a Language & Content exam which found me sitting in front of a panel of professors & being quizzed on four years worth of knowledge. One of my questions had to do with this place, which at that time I truly believed the gentleman was making up on the spot. Of course I let out a little chuckle when I realized that what I thought was fable was actually real. Alligator Hole, a misnomer for a small river with fascinating inhabitants, is found within the Canoe Valley National Nature Preserve, east of Alligator Pond, along a winding coastal road with changing flora. 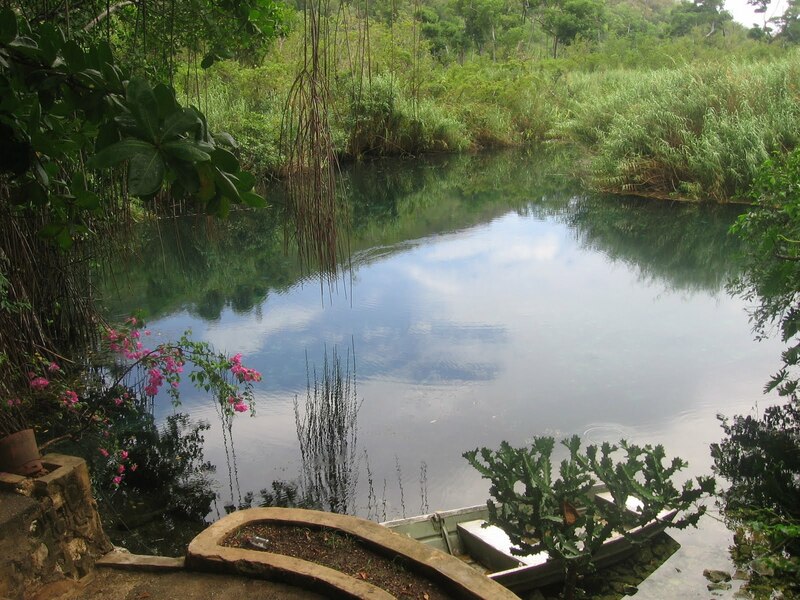 The name Canoe Valley is said to have some relation to indigenous Jamaicans, the Taino….The Canoe Valley Park spans 3000 acres, and is made up of mangrove swamps, limestone forests and herbaceous forests. The whole valley occupies approximately 5000 acres, and at last count there were 4 amphibian species, 7 bat species, 23 reptile species and 93 avian species in the area.